The devil cocktail may look harmless and inviting in the glass, but that's not a dusting of nutmeg on top of this brandy cocktail—it's actually cayenne pepper! That dirty little secret is likely how the deceptively spicy cocktail gets its name. The base of the drink—a combination of brandy and crème de menthe—is really nice as a dessert drink or comforting winter cocktail. It is similar to the stinger but it's the spicy bite of the pepper aftertaste in the devil that really shakes things up. While it is a great drink, it has a bit of an acquired taste—if you are sensitive to spicy heat, this one may not be for you. For anyone willing to try the truly unique flavor, be sure not to overdo it on the pepper. It's also key to keep the mint in check, so don't overpour! Remember, balance (and a light hand) is key to the best cocktails and here that is absolutely vital. Pour the brandy and crème de menthe into a cocktail shaker filled with ice. Add a pinch of cayenne pepper on top. White crème de menthe is preferred because it lets the brandy control the drink's color. If you use the liqueur's green version, it will taste the same but look a little messier. Cayenne pepper should not be confused with chili powder. Ground cayenne is up to eight times spicier and chili powder is a blend of spices with a hint of cayenne, so they're two entirely different ingredients. Cayenne works in this recipe and, as an alternative, you can use chile powder (note the "e") as it's a blend of different kinds of chile peppers. 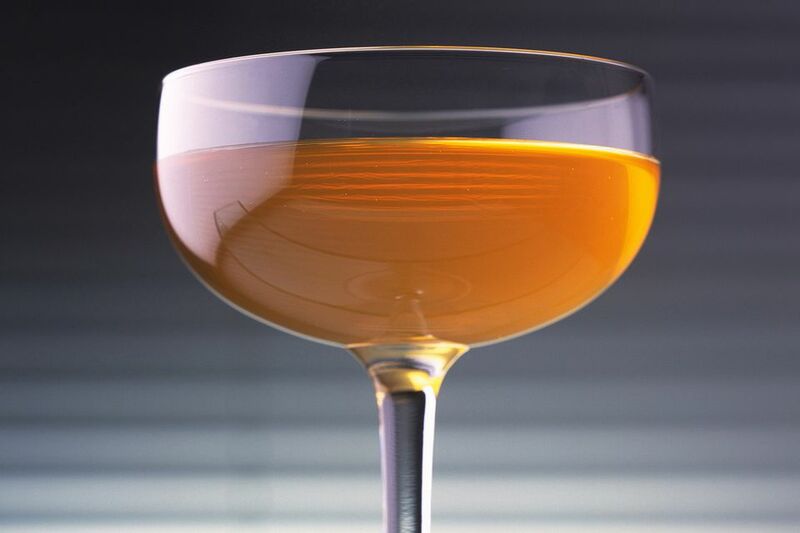 This is a very uniquely flavored brandy cocktail, so it's really not essential to pour your best brandy. At first, try it with a mid-range option and if you like it, consider mixing it up with the good stuff. Until you learn whether you love or hate this drink, serve it with a water back (a separate glass of water). Consider it a safety net just in case it gets too hot or the mint-pepper combo is too much for you. How Strong Is a Devil Cocktail? Anytime you see a cocktail made entirely of liquor, you can expect it to be rather strong. The devil cocktail definitely falls into that category—possibly another allusion for its name—because it shakes up to about 30 percent ABV (60 proof). It's alcohol bite definitely rivals that spicy kick!